In late spring and summer, recruitment dominates booster club agendas. Extracurriculars rely on booster club support, which in turn rely on a rich pool of volunteers. 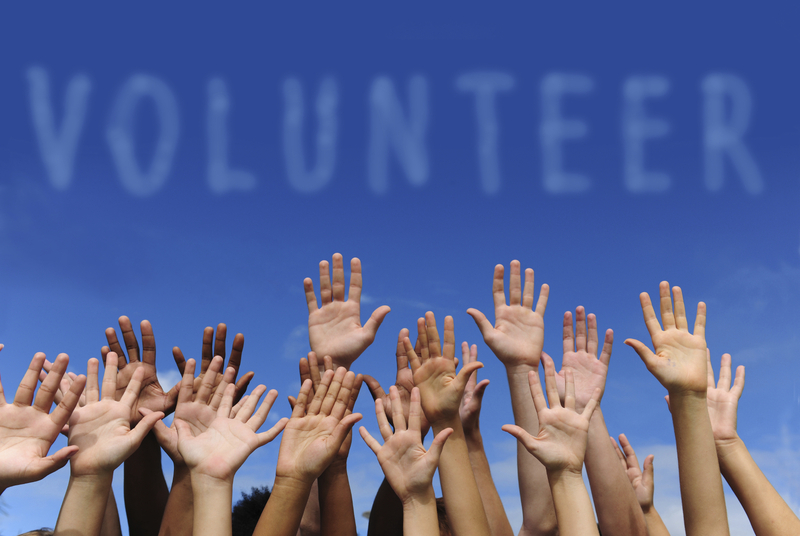 Both general and board member volunteer recruitment is a challenge, leaving booster clubs vulnerable. Booster club meetings I’ve attended at election time often include brainstorms about which person to ask to do what job. Frantic texts get sent to potential volunteers in the middle of meetings, and candidate lists are compiled ad-hoc that board members are assigned to call afterward. Seldom have I seen board member rosters filled, let alone competing candidates. So how can you attract more volunteers to your booster club? Recruiting volunteers is a tough job, but booster club members hold the keys to attracting volunteers. Data from the Bureau of Labor Statistics shows that encouragement from a current club member drives more volunteer signups than encouragement from family, friends and coworkers combined. While there are some people who will seek out volunteer opportunities on their own, it makes sense that the current members are in the best position to convince others to join the cause. Volunteers respond to social encouragement, but they’re more inspired by actions than words. If you’re a volunteer, you’re in a prime position to attract other volunteers. But what are the best ways to recruit? And how can you most efficiently court dedicated volunteers? In this post, I share advice collected from dozens of interviews and booster club meetings. I also draw on tips from the scientifically tested methods of political organizing. For more on volunteer recruiting from a political perspective check out the New Organizing Institute). 1. Focus on personal strengths: Volunteers like doing what they are good at. They fear failure. They don’t want responsibility if there’s someone who has a better chance of success. So it’s important when you ask a new volunteer for help that you emphasize their skills. Give them a chance to be an understudy before taking full responsibility. Lastly, I think we all sense that it’s simply less work to do something that we’re good at. SAY: Can you run the concession stand on Wednesday at 6:30 for 2 hours? INSTEAD OF: Can you volunteer for us sometime? SAY: We need a secretary to help organize the club, can you do an hour and a half on Tuesdays? INSTEAD OF: We need a new board member, can you come to the meetings every week? The problem with the “hard ask” is that people can easily say “no” to a specific time or activity. The solution? See #6. 3. Recruit non-parents: One booster club president told me that he makes an effort to recruit parents of alumni. Parents don’t want to volunteer at events when their kids are performing; they’d rather be watching their kids. Another way around that problem is to set up volunteer swaps with other clubs. For example, theater parents can work the concession stand at a football game. In exchange, a football parent could work the concession stand during a play. I also know a booster club officer who gets lots of volunteers from a local volunteer agency. Clearly, you won’t find these types of volunteers (non-parents) at a freshman parent night. You can put an ad in your local paper, but eager volunteers are also likely to find you on craigslist.com, idealist.org, or volunteermatch.org. You’d be surprised how many people out there want to volunteer, without having children in your program. These include retirees with too much time on their hands, recent transplants to your city who want to connect with the community, or college students who need community service credits. 4. Pitch the kids: When talking to a potential volunteer, it’s a good idea to explicitly connect fundraising to programs. Examples are clutch. For example, you can mention the fundraiser generated X amount of dollars to pay for a new coach or director. Mention how much the kids love that new staff member. 6. Ask again: In the same way you never say “no,” you rarely need to take “no” for an answer. Because when a potential volunteer says “no” to helping out, it’s rarely a blanket answer. It’s your job to find out what that “no” really meant. Did they not have time? Did they not want to do a particular task (see #1)? If a volunteer says “no,” ask them again, possibly for a different task or at a different time of the week. In order to be able to ask again, it’s a good idea to record volunteers’ activities and responses. Due to high turnover rates in booster clubs, make sure that you have recordkeeping across generations of volunteers (more tips on that here). With good data on past volunteers, you can call through a list that’s several years old and get great results.